This customer is a multinational in the office and work solutions B2B market. They are active as market leader in 45 countries in 5 different continents. This sales driven organization has over 700 employees in the Benelux and strongly believes in a 'work hard, play hard' environment. 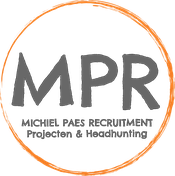 Reporting directly to the Regional Sales Director, you will be responsible for a team managing ambitious sales targets and business development goals in the area of Limburg (and a part of Brabant). Recruitment and selection (in collaboration with Recruitment Department). Excited? How do we take it from here?